Ever wondered why Grandad looked so hairy in those photos? 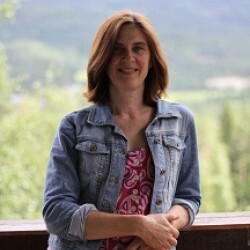 Sharma Shields, a writer who has worked in independent bookstores and libraries all over Washington state. She is the author of the short story collection Favorite Monster. The Sasquatch Hunter’s Almanac is her first novel. A woman abandons her family to live in the woods with Sasquatch (“Mr. Krantz”) and her unbelievable decision greatly damages the two generations that follow. Magical realist family sagas along the lines of Gabriel Garcia Marquez’s classic: One Hundred Years of Solitude, or anything by Kevin Wilson (Tunneling to the Center of the Earth, The Family Fang). Eli Roebuck, a podiatrist-turned-cryptozoologist who founds the Sasquatch National Research Lab in his obsessive search for a large, hairy man who stole his mother away from him. Freud would have a field day. Michael Sheen. Going from his role as Bill Masters to a cryptozoologist obsessed with finding Sasquatch only seems natural. Out in the woods with Bigfoot? No thank you. A condo in Lilac City? Yes, please. It wasn’t about hatred, like I’d always thought. It was just that we were strangers. It’s safe to say that many of us don’t actually believe in Bigfoot. I know I don’t. From a young age, before even Santa Claus was spoiled for most of us, we’ve been assured that stories about Sasquatch are campfire myths – or worse – part of a larger hoax. 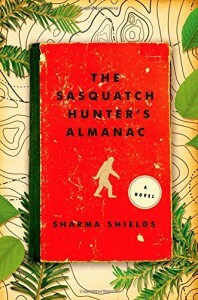 By some magic, though, Sharma Shields’ debut novel The Sasquatch Hunter’s Almanac suspends that disbelief. Throughout Eli Roebuck’s obsessive hunt for Mr. Krantz, I couldn’t stop thinking back to the famous line from The X-Files: “I want to believe.” For the duration of this book, I surrendered. I believed in Sasquatch. Beyond the fantastical elements of this novel – the unicorns, ghosts, hexes, and lake monsters – is a story about family, and what happens when the abandonment and heartbreak of one generation spills over to the next. Shields provides a kaleidoscopic view of the Roebuck family through each generation, shifting forward in time each chapter to a different third-person perspective. This technique, while jarring at times, evens the playing field for characters like Eli’s mom Agnes, who would otherwise be dismissed as a one-dimensional crazy and heartless old hag. Even Shields’ Sasquatch, Mr. Krantz, is a charming monster.